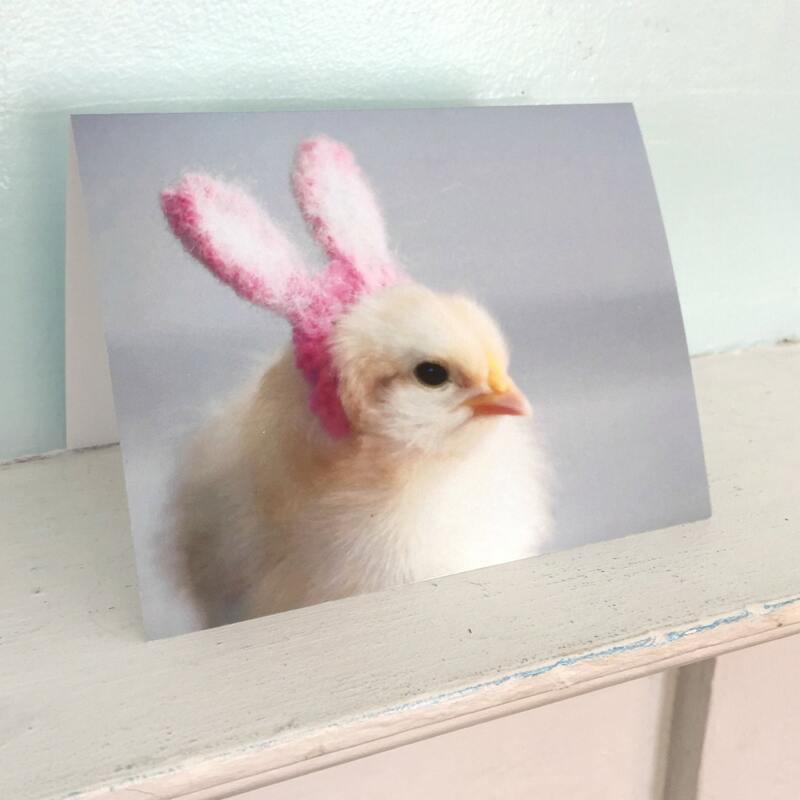 Chicks in Hats folded note card, with the image of a chick wearing tiny bunny ears. VERY REGAL CHICK. ARRIVED QUICKLY.